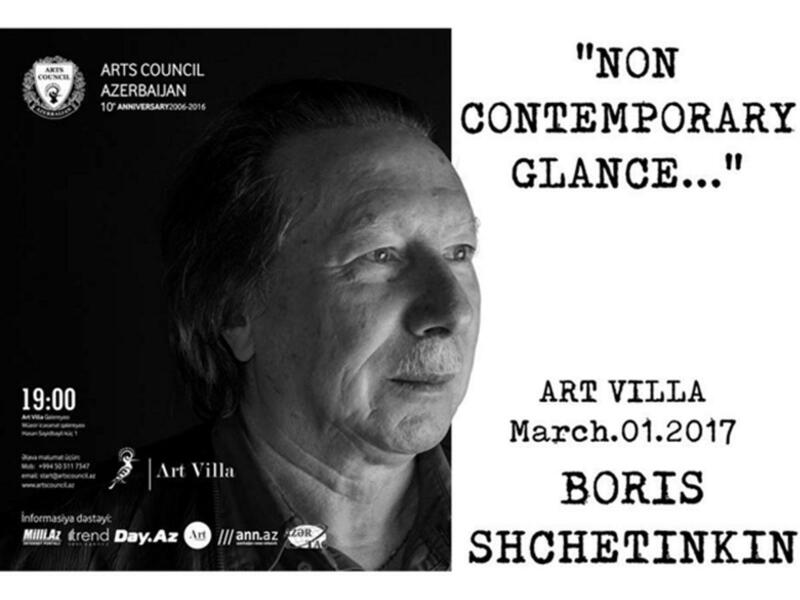 Art Villa will host an expo of amateur artist Boris Schetinkin on March 1, Trend Life reported. Entitled "NON CONTEMPORARY GLANCE", the event is organized with support of NGO Arts Council Azerbaijan. The exhibition opens at 19:00. Entrance is free. Boris Schetinkin is a self-taught artist, who achieved great results in a short period of time. Born in Baku, he graduated from the Azerbaijan State Oil and Industrial University. However, Boris Shetinkin always been into art. Since his student days, he was fond of journalism, sports and theatre, and regularly conducted trainings on creative thinking for engineers and managers. And finally, at the age of 61, he came to painting. Within two years, the artist created about 70 oil and acrylic paintings. In his works, Boris Shetinkin depicts Azerbaijan `s beautiful landscapes, portraits and etc.